Are you starting a business this year? Where should you stick your flag in the ground? Here are the top 10 U.S. cities to start a business in for 2016. While we may think of a major hub like Silicon Valley as a prime example of an entrepreneurial city, the reality is that these epicenters of growth may not always offer the most supportive climate for new businesses. So, where should you stick your flag in the ground? To find out, I turned to WalletHub’s report on the best (and worst) cities in the United States to start a business in for 2016. By measuring various metrics like business survival rate, the prevalence of investors, and labor cost, they were able to determine which cities offer the best outlook for new ventures. Here is a breakdown of the top 10, plus additional information and resources for each city. If, after reading, you find yourself inspired and ready to start the business planning process, be sure to check out our business planning guide! Ranked number one on WalletHub’s Best Cities to Start a Business, Sioux Falls is a great place to put down roots. 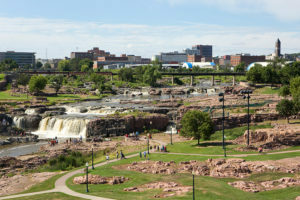 The largest city in South Dakota, Sioux Falls is the 47th fastest growing city in the United States. However, it’s not just the city itself that is growing in size—Sioux Falls has become a hub for business growth. With low operation costs and a large banking sector, Sioux Falls is receiving national attention as a great place to start a business. If you are a female entrepreneur, pay extra attention to Grand Rapids, which WalletHub ranks as the second best city to start a business in. Grand Rapids is home to GROW, or Grand Rapids Opportunities for Women, a nonprofit that focuses on helping women with the various aspects of business ownership. Grand Rapids is also home to StartGarden, a startup accelerator with the goal of turning Michigan into a flourishing business ecosystem. 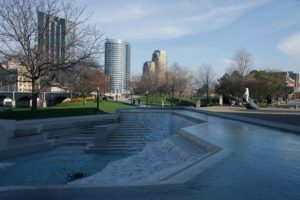 While they ranked second overall as the best city in which to start a business, Grand Rapids ranked first in terms of average small business growth. 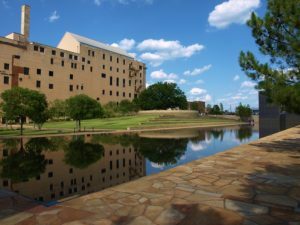 Ranked third by WalletHub, Oklahoma City has also been found to be a great city for STEM professionals, entrepreneurial women, and small tech businesses. 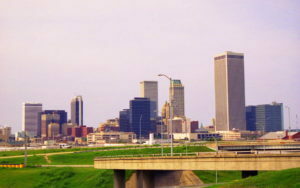 Furthermore, Oklahoma City is one of the fastest growing U.S. cities, with a population growth of over five percent since 2010, and an unemployment rate below the national average. 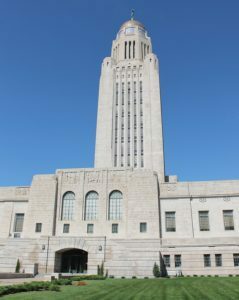 If you know that you will need a large amount of outside financing to start your business, you may want to consider Lincoln, Nebraska. Ranked number four overall, you’ll stand a good chance of obtaining financing in Lincoln—when it came to the city with the most accessible financing, Lincoln received the highest score possible. In addition, Lincoln, like the other quickly-growing cities on this list, has experienced rapid population growth. If you are interested in founding a traditional startup business but aren’t interested in moving to Silicon Valley, you might want to check out St. Louis. Coming in at number five overall as the best city to start a business in for 2016, St. Louis is a growing hub for startup activity. Low housing costs, a plentiful and talented workforce, and access to science and tech businesses have been cited as reasons for St. Louis’ popularity. If you are interested in accelerators, check out Accelerate St. Louis; and if you are a female entrepreneur, the Missouri Women’s Council should be on your resources list. 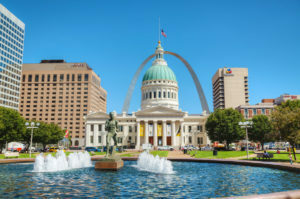 Finally, to give you a general idea of the business climate in Missouri, check out this interview in St. Louis Magazine with Missouri SCORE counselor Bob Boles. 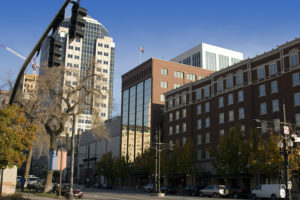 In addition to being number six according to WalletHub, Salt Lake City has been called one of the top ten cities in which to start a business by Kiplinger, which cited low cost of living and business costs as attractive factors. It is also considered one of the best places for new college graduates, which means businesses have access to a pool of talented entrepreneurs. Not only that, Salt Lake City is another growing tech and startup hub, with accelerators like Boom Startup and Beehive Startups. It also ties with Lincoln for most accessible financing as well. 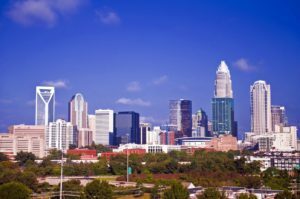 Coming in at number seven overall, Charlotte also ranks as the second best city after Grand Rapids when it comes to growth in number of small businesses. When it comes to best states to start a business in, North Carolina ranked second, and the state as a whole also ranked top five on cost of labor, low business costs, and beneficial tax structure. Charlotte’s Central Piedmont Community College also offers a corporate and continuing education program, which includes classes on financing, business plan writing, and even starting a food truck! 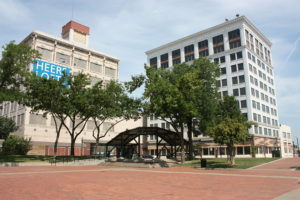 At eighth overall, Springfield Missouri boasts low business and housing costs, as well as a solid transportation network, making it perfect for businesses that require movement of goods. Additionally, if you need a lot of office space and are worried about the cost, Springfield clocks in at number two in terms of best cities with inexpensive office space. Be sure to also check out The eFactory, Missouri State’s Small Business and Technology Development Center, which helps entrepreneurs with training, partnerships, and more. Not only does Tulsa rank number nine overall according to WalletHub, but they rank fourth according to Kiplinger when it comes to great cities to start a business in. Chalk this up to the fact that Tulsa has a very low cost of living, a flourishing small business economy that accounts for two-thirds of all new jobs created citywide, and is extremely affordable for renters. 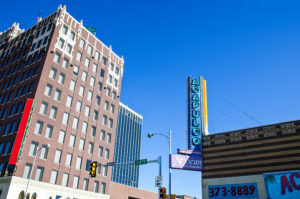 NerdWallet also named Tulsa a top place to start a business, citing access to a talented employee pool and great business incentives and programs, such as incubator The Forge. Coming in at number 10 is Amarillo, Texas. However, Amarillo also tied with Salt Lake City and Lincoln for most accessible financing, so if you need a great deal of startup capital, it might be one to consider. 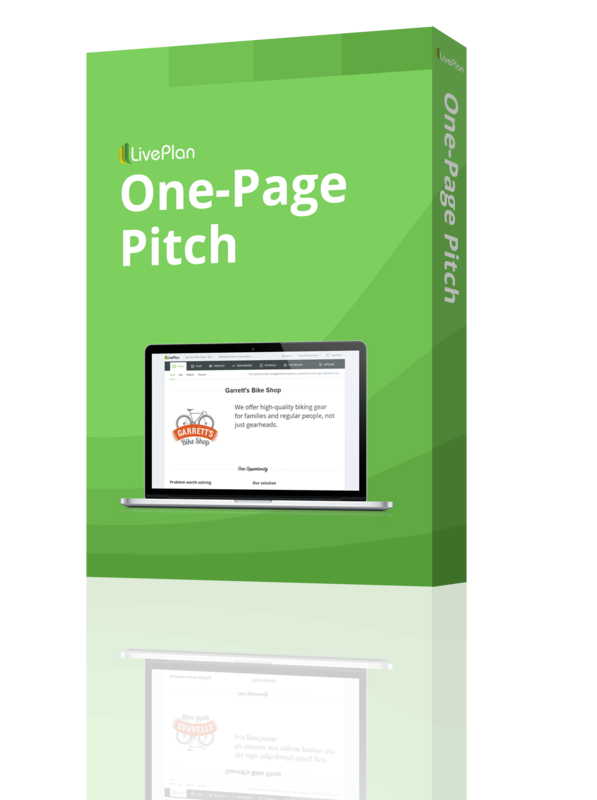 This is due in part to a wide array of loan options available, such as microloans and programs for those in rural areas. Beyond the accessibility of financing, Amarillo offers few licensing requirements and has a low cost of living. Did your city make the list? Would you move to another city to start a business?